On this Memorial Day, let’s remember that the first victims of war are soldiers — and support them both home and abroad. We’re particularly failing them after they come home. 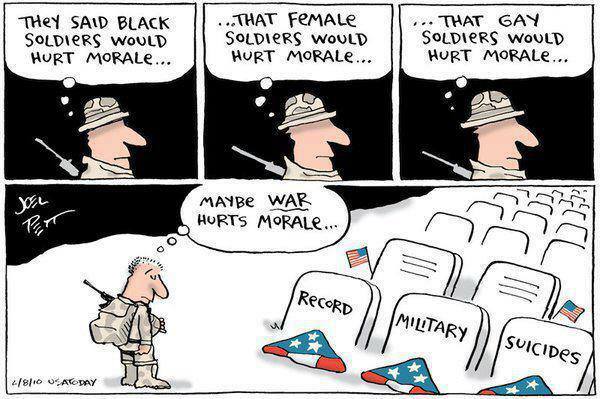 Not only do we have record military suicides, but one in four of the homeless are veterans. Ask your Congressperson today why Congress isn’t working harder to take care of our veterans and servicemen. Yes. We’ll pay to destroy their lives, but not to rebuild them.